Charlie Condominiums @ King & Spadina! 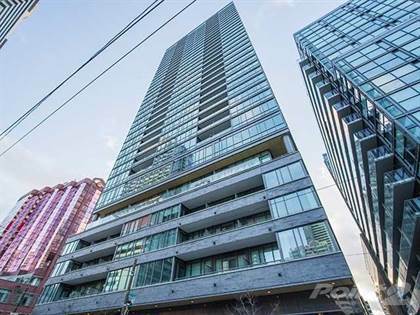 \r\rGorgeous 1 Bedroom Unit Located In The Heart Of Entertainment & Financial Districts, West Facing View!\r\rApproximately 642 Sq Ft (As Builder's Floor Plan)! \r\rThe Modern Kitchen Feature Gleaming Granite Countertops, Stainless Steel Appliances And Cabinetry Designed By Cecconi Simone! \r\rFloor-To-Ceiling Windows Throughout!\r\rA Must See!! Close To Restaurants, King West, Ttc And So Much More! Hi, I'd like to find out more information about 8 Charlotte St. Thanks so much!